Big Montenegro Tour was created in 2008 for our travelers and since then it has been MH Travel Agency's most valuable brand,which we are very proud of. 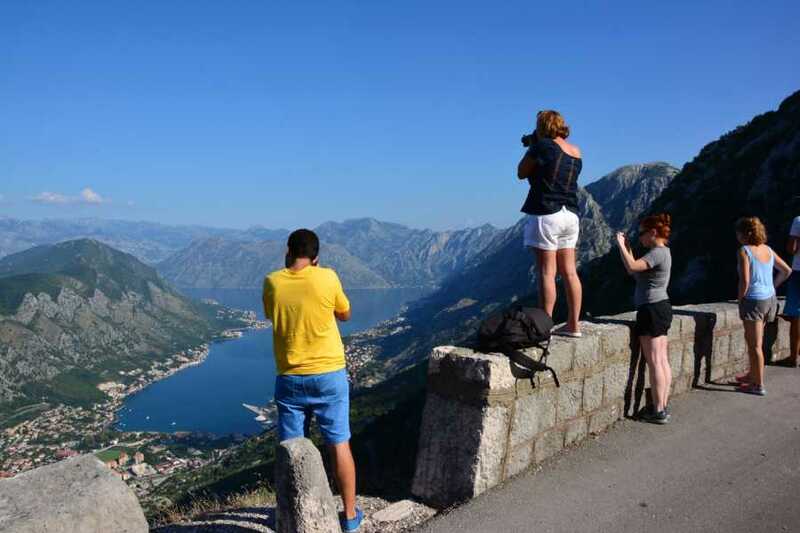 Thousands of people took this tour in the last 10 years, and thousands of photos and impressions are spread out all over the World, confirming how beautiful Montenegro is. If you are interested in taking this tour read carefully the itinerary of the tour, see the video presentation, read about places we will visit, learn more about conditions and terms, and we are pretty sure that you will be taking a seat on the tour. Right after leaving Budva, we will continue the road towards Skadar Lake using the longest tunnel in Montenegro called Sozina (about 5 km long). Only in case of big summer jams we will go the altrenative road through the mountain Paštrovska Gora, but nevertheless in Virpazar we will arrive accordingly to the itinerary time. Virpazar is the most famous little town on the Lake of Skadar and it is very popular among tourists from all over the world. We'll take an hour and a half break here. Guests who want to have breakfast can do it in several extraordinary traditional restaurants, they can take a walk to the 15th century Besac fortress and photograph the lake panorama, they can shop in the famous green market where only organic food is sold from nearby villages (fruits, vegetables, cheese , dried meat, honey, brandy, liqueurs and wine), and can take a boat ride. We will leave Cetinje around 3 pm and with less than an hour through the National Park Lovćen, we will reach the second largest peak (Jezerski Vrh) of 1660 meters where the famous mausoleum of Peter II Petrović Njegoš is located. In the following hours there will be no crowds on the Mausoleum, that's why you'll be able to enjoy the view and make impressive photos of the panorama. After visiting the Mausoleum, the busiest and best part of the tour comes. Fantastic descent to Kotor (25-way serpentine route) where you will get an impressive view of the Bay of Kotor. We will make a photo stop on the lookout and enjoy a beautiful view, one of the most beautiful in the world. The road will not be burdened with traffic, and the magnificent nature of the bay, will turn the end of this tour into absolute enjoyment. Boat ride includes entrance fee of Skadar Lake National Park costs 10 euro (this is not obligatory).